Embla was the first Emerald Witch to come to Funny Bunny. Embla is the princess of the witches with the silkiest hair and also the leader of the coven. She is a really nice doll and looks like she was hardly ever played with. I love the knitted caps. Can you tell me where I can find/buy patterns to make some clothes for my Emerald? 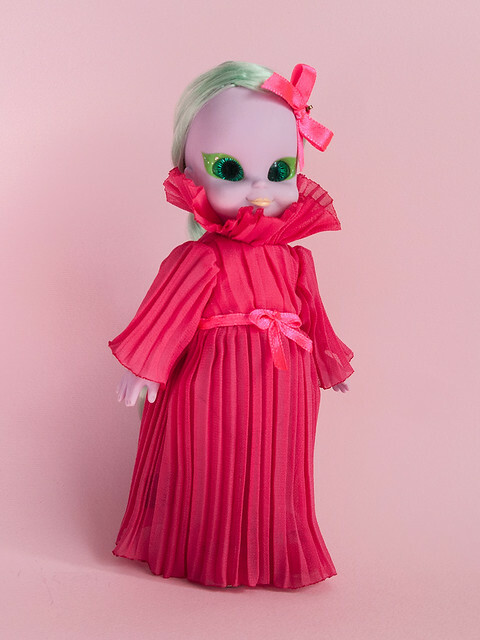 I assume she could wear Ginny (a 1950’s-70’s Vogue doll) clothes but have yet to try. Thanks for any info. 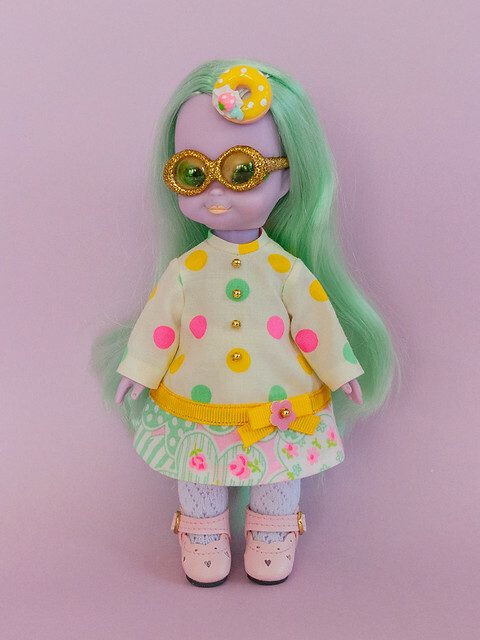 But as for the question.. Actually I have hard times with finding patterns, maybe because I am not very knowledgeable about dolls of this body type… The only source of patterns I know of is Dolly Dolly volume 15 (Japanese doll magazine) two good dress patterns in there. Then I have been using these 2 patterns to make my own and also making new patterns from scratch.